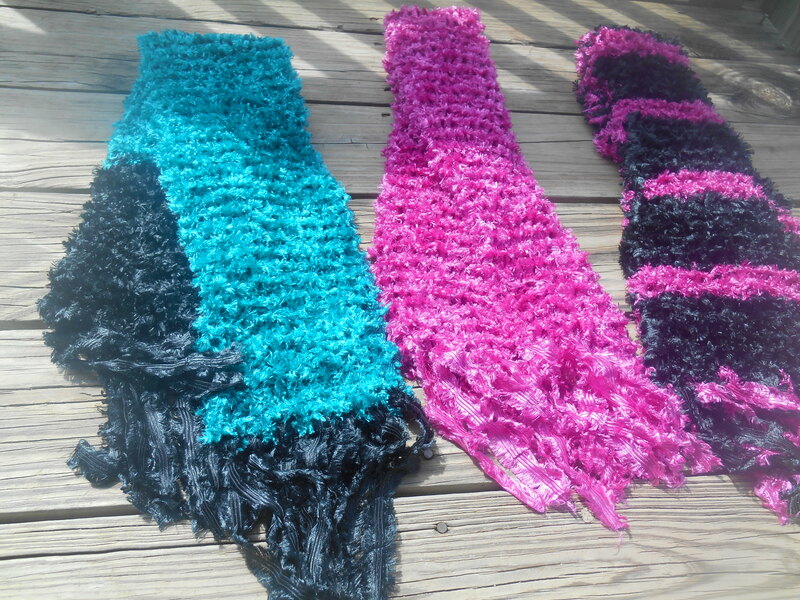 I finished three ribbon scarves. It took me a couple days to finish them. 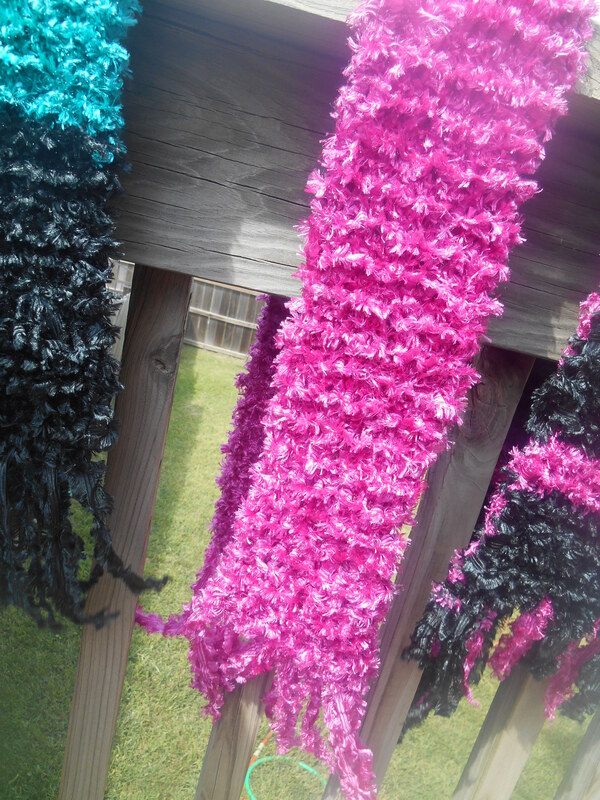 I used pretty big needles, so it went pretty fast. 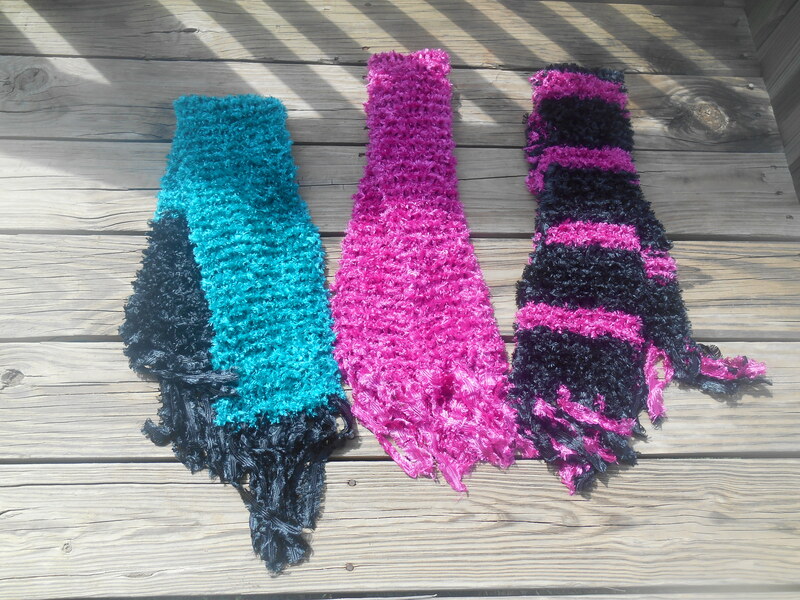 I used three skeins of the yarn, but I still have more of it. 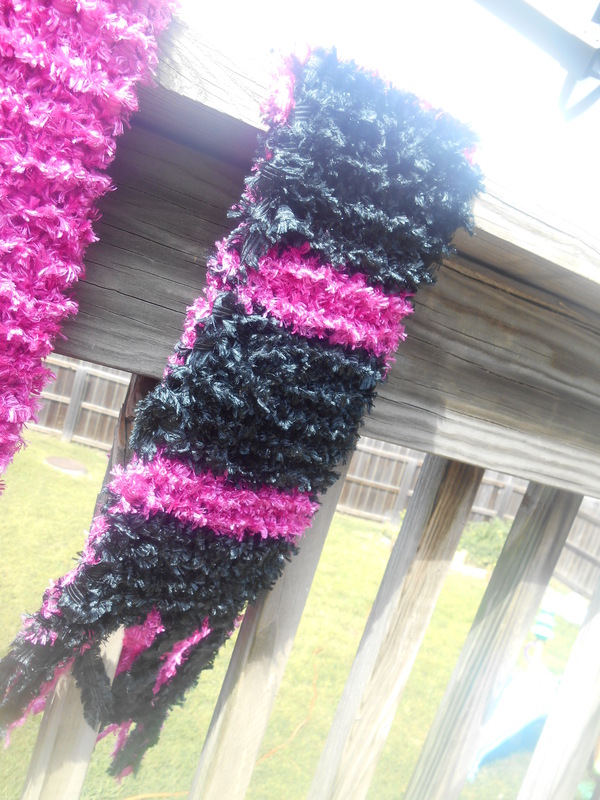 I have more black, pink, and light pink(which I haven’t made anything out of yet). 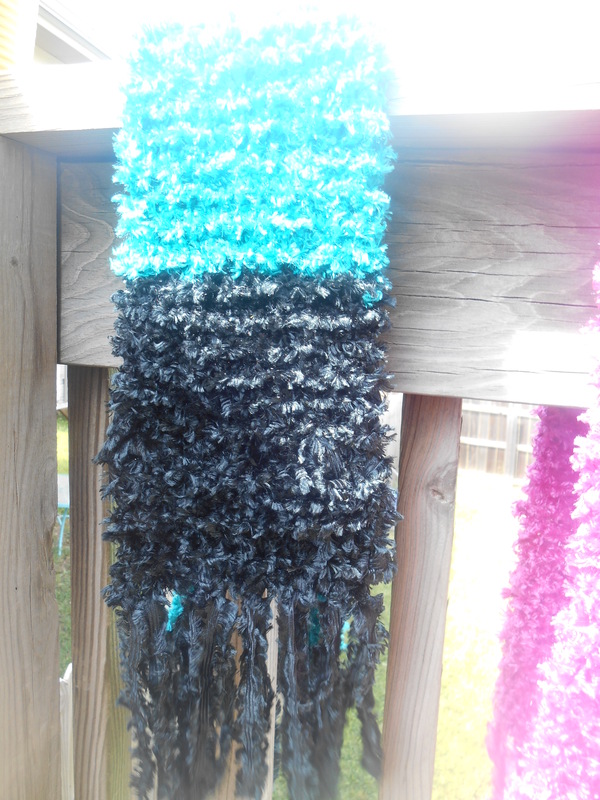 Maybe some trendy girl will like the difference between black and teal. My daughters like the feel of them. Very soft. They’re all youth sized.